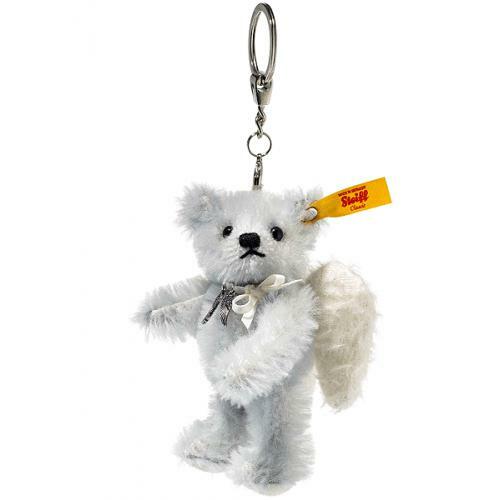 Pendant Raphael Teddy Bear is from the Steiff classic range and is hand made in beautiful Ice Blue mohair with White mohair wings. 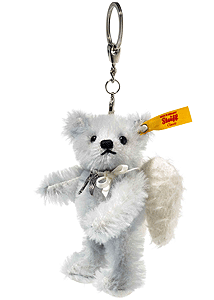 He also wears a white ribbon which holds a pair of metal wings. With Stainless Steel Button in Ear and Yellow tag.